When you have your kid for your visitation time, oftentimes the other parent knows he/she has only one way of brainwashing your kid during those days. The tool used? Although direct and firm intervention is always required when dealing with an ex’s attempting to alienate you from your child, always keep this in the back of your head: the concept of the Brainwashing Boomerang. 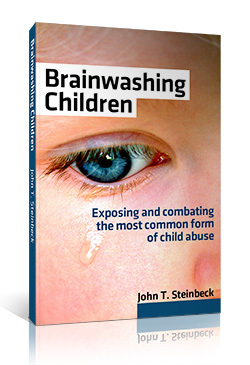 Brainwashing Boomerang (n) – when a parent’s attempt to alienate their ex from their child or children backfires, and the intended effect is the opposite: The child or children resent the parent who attempted the brainwashing. You can’t sit back and wait for this effect to take place down the road. It is something that often happens, however, especially in cases where the children have relatively strong and independent minds (ie, less susceptible to mind shaping). This blog doesn’t recommend this passive approach, however, as damage is still done to the child’s psyche. And even this boomerang effect isn’t desirable, as it simply switches hostility between the two parents… in other words, hostility which shouldn’t be there at all still exists. Children know their parents have faults and aren’t perfect. They don’t hold one parent up to the other and say to themselves “this parent is better, so I like them better.” Rather, children simply want harmony and to be loved by both, in each parent’s own way of expressing it. They don’t want to have to choose one parent over the other. Which is why brainwashing is such a travesty– it’s forcing them to develop negative feelings towards a parent when the child doesn’t feel such hostility naturally. So it’s our duty as parents to never put our children in the direct or indirect fire of toxic statements or insinuations against our ex. Children love both their parents, and deep within hate negative expressed towards a parent– even when what is spoken of is true! All parents feel a bond to their child. But a good percentage of parents take this bond to a new level, approaching ownership. They feel like that child belongs to them, while the ex is relegated to a legally-obligated role in the child’s life. This is indicative of a very needy parent, for starters. A strong person, after all, would want their child to have both a mother and father bond. But these parents take the role of dictator in the child’s life, wishing their ex would simply wither up and go away. They would much rather “own” their child and have the ex never appear again in the child’s life, than share the responsibilities of raising the child. It’s amazing how a parent can put their own needs in front of their children’s. But it happens all the time. These power-obsessed, bitter, emotionally immature parents don’t care what damage they do to their children’s psyche. They don’t even think they’re doing anything harmful, they’re so wrapped up in their emotions. How to cope with such “ownership”-inclined parents? See your kid(s) as often as possible. Use the courts if necessary to attempt at custody (sometimes this is the only way to get the brainwashing to subside– but even that is optimistic).